The company has a new management team in place, including a chief compliance officer, to fix quality control problems related to the EndoBarrier device. GI Dynamics has faced multiple regulatory setbacks with its EndoBarrier device, which is intended to treat obese patients with Type 2 diabetes. GI Dynamics Inc. is facing yet another hurdle with its EndoBarrier system, only this time the roadblock is on the other side of the pond. The company's CE mark for the EndoBarrier system has been suspended while it addresses nonconformance issues related to its quality management system. The EndoBarrier is designed to treat obese patients with Type 2 diabetes. The device creates a barrier between food and the wall of the small intestine and thereby changes metabolic pathways by controlling how food moves through the digestive system. 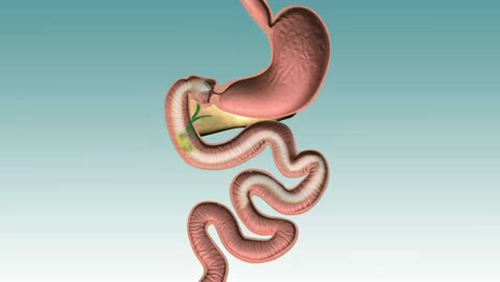 The effects are supposed to be similar to gastric bypass surgery, but without the surgical procedure and hospital stay. The idea behind the device is that preventing food from coming into contact with the intestinal wall may alter the activation of hormonal signals that originate in the intestine, thus mimicking the effects of a Roux-en-Y gastric bypass procedure without surgery. CEO Scott Schorer said the CE mark suspension does not call the safety or efficacy of the device into question, nor does it constitute a recall. It does, however, bring to mind previous setbacks the company has faced over the past few years. In March 2015, FDA halted the company's U.S. pivotal ENDO trial after four cases of hepatic abscess were found among the 325 patients enrolled in the trial. Hepatic abscess is a bacterial infection of the liver that needs immediate treatment. The company had to cut its headcount by 48% to 36 in 2015 after the U.S. trial was halted. Prior to that, GI Dynamics had to stop shipment for a while in late 2014, and received an advertising complaint in Australia. The current CE mark suspension is tied to issues the notified body SGS United Kingdom Limited cited in a recent corrective action report. GI Dynamics put a new management team in place last spring to address these and other issues. The Lexington, MA-based company said it has shipped what it believes will be sufficient inventory to its customers to ensure uninterrupted service during the suspension. "We hired a chief compliance officer with experience in these matters as well as quality and regulatory experts to help us address the issues while maintaining compliant surveillance and vigilance," Schorer said. "We have made significant progress over the past year and are focused on continuous improvement to the quality management system."